Three Bahraini rights groups, Bahrain Forum for Human Rights, Salam for Democracy and Human Rights (Salam DHR), and the Gulf Institute for Democracy and Human Rights (GIDHR) made a joint statement while Bahraini Interior Minister Rashid bin Abdullah al-Khalifa made a public relations tour in Washington, USA. 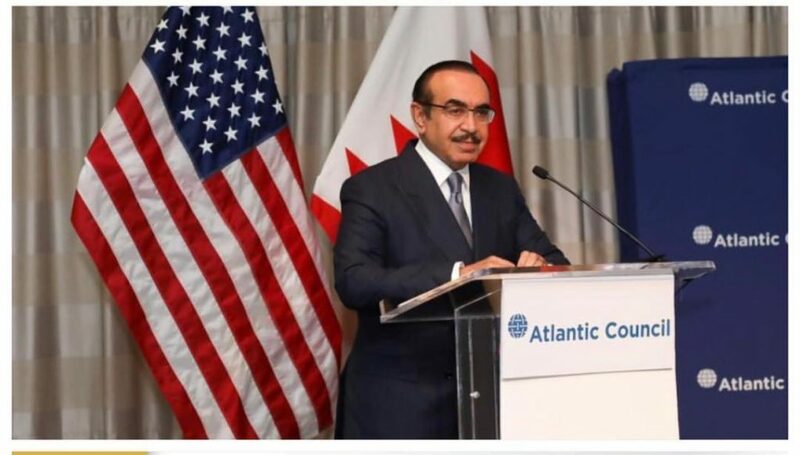 He is one of the Bahraini officials responsible for the systematic human rights violations which have been documented by local and international human rights organisations since he was appointed in his post in May 2004. The right groups said that the Bahrain Independent Commission Inquiry (BICI) report recommendations remain unfulfilled, the complaints of victims of torture and arbitrary detention ignored, and the UPR recommendations for 2012 and 2017 unapplied. This explains the high number of extrajudicial killings, arbitrary arrests and torture, the rise in arbitrary death sentences, revocations of nationality, disappearances, forced deportation and prolonged imprisonment for peaceful expressing one’s opinion. While the Minister is legally and morally responsible for such gross and systematic violations, during a meeting organised by the Atlantic Council under the title of “American cooperation in the fight against terrorism and law enforcement in the Middle East”, he said that the ministry’s main priorities were to ensure public safety, protect the people, maintain peace and fight against crime. The organisations added that the US administration’s reception of Bahraini officials accused of committing serious human rights violations and suppressing freedom of expression and the basic rights of citizens serves to support their repressive policies. The rights groups concluded that in the absence of an independent judiciary and a lack of separation of powers, which result in unfair and politicised trials that serve the wishes of the authorities to cover up human rights violations, including torture and extrajudicial killings, have created a policy of immunity for security personal involved in violations. In addition, the authorities cannot provide a convincing justification for not allowing the UN Special Rapporteur on Torture to visit Bahrain and have continued to raise lawsuits against victims based on their confessions extracted under torture by security personnel and members of the Ministry of Interior, including by electric shocks and sexual harassment. Bahrain’s Interior Minister cannot deny that such inhumane acts have been practiced against citizens simply for exercising their right to peaceful assembly, holding opposing views, or demands for equality and an end to corruption.